Every year, stadiums, concerts, speedways, and amusement parks are frequently threatened by cloud-to-ground lightning. These types of venues are incredibly vulnerable to lightning due to the large number of people in attendance that are not in any shelter. Across the United States, over 400 people become victims of lightning strikes each year. Of those strikes, 15% are fatal and hundreds more result in permanent injury. Without an adequate lightning safety plan, venues can put thousands of people at risk of becoming one of these victims. 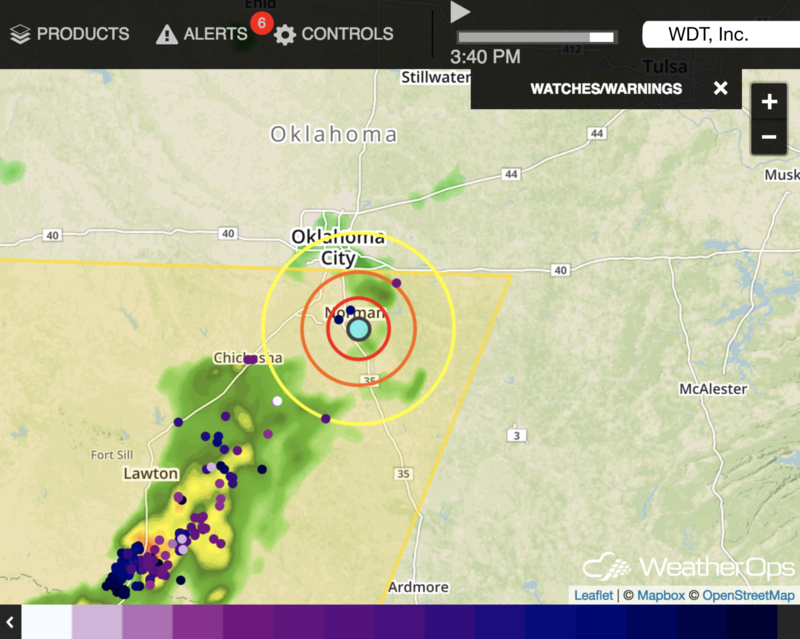 WeatherOps offers a service that provides all of the real-time lightning alerts and data that is needed to help maximize safety and ensure that venues have the information they need to delay and resume events when conditions warrant. The standard rule for lightning safety is if lightning is within 8 miles of a venue, then the site should be evacuated and all activities stopped. Activities should only begin after no lightning has occurred within 8 miles for a period of 30 minutes. A recent change in the standard for lightning safety guidance from the U.S. National Weather Service’s (NWS) Lightning Safety Toolkit for large venues gives outdoor events an opportunity to continue their activities in advance of the standard 30-minute delay IF the threat has diminished and they are consulting with a professional meteorologist that has access to real-time lightning data. On April 1st, WeatherOps launched a new "Early All-Clear" service for our outdoor event customers that provides venues the opportunity, if conditions are right, to resume activities up to 20-25 minutes earlier than they could have based upon the previous guidelines. As always, our event customers can conveniently view their lightning alerts in real-time on the WeatherOps display in Commander and in the WeatherOps App. Lightning strikes appear on the map with custom range rings (color-coded red, orange, yellow), and are easily distinguished from radar and satellite overlays. In the app, there is a countdown clock that shows you how many minutes there are until the all-clear. 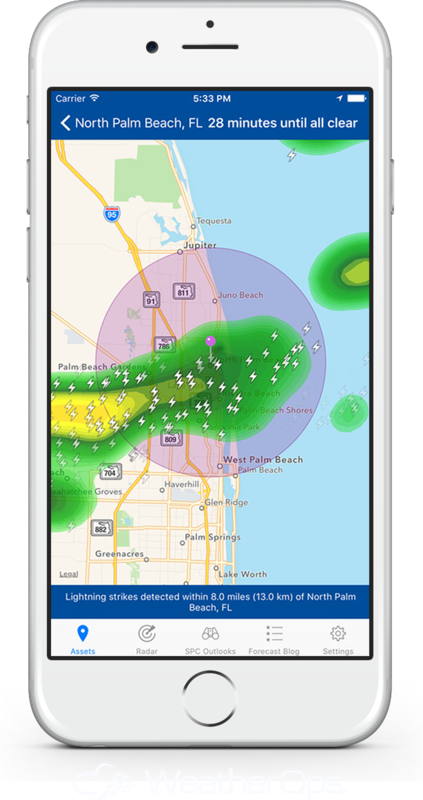 Contact us to learn more about WeatherOps lightning alerts and the benefit of early all-clears for event customers.